Fundraiser for Luise Farmer by Chelsea Wise : Help VA hold our elected officials accountable! Help VA hold our elected officials accountable! - Governor Ralph Northam’s 1984 medical yearbook page with photos submitted by students including a photo of a person in blackface and a klan costume was released to the media. - Governor Northam admitted that he was in the photo and apologized. - The following day, Governor Northam reversed his position claiming it was not him; however, he has done blackface in the past. - Following a scandal breaking with the Governor Justin Fairfax, it came to light that the Attorney General Mark Herring has also put on black face in his past. Herring is the third person in the line of succession for the Governor’s office. - Anti-fascist community members uncovered evidence of a Virginia Capitol Police officer having possible affiliations to a white supremacist organization. Virginia Capitol Police patrol the Capitol grounds which includes the Governor’s mansion. - Then blackface photos from a fraternity party surfaced in the yearbook of the next person in line for succession, Speaker of the House Kirk Cox which, while they were not photos of Speaker Cox, made people see the issue of offensive photos in yearbooks is more prevalant than originally realized. Virginians have continued to call for the resignation of Governor Ralph Northam as these scandals continue to break. Virginians have called for his resignation on social media, in protests, and most recently in an open letter to First Lady Pam Northam. Governor Northam, has refused to listen and in the midst of his refusal to leave office additional politicians have fallen under scrutiny. With the potential of multiple of our elected officials having racist behavior and imagery in their past, we are in a crisis of leadership. Furthermore, this is all occurring during Black History month in 2019 which is the 400th commemoration of the first African human trafficked to the Commonwealth of Virginia. We live in the former Capital of the Confederacy surrounded by countless racist monuments not far from Charlottesville where in 2017 white supremacists gathered for the violent Unite the Right rally that resulted in violence and murder of Heather Heyer. Racism is alive and well in the Commonwealth of Virginia especially with our elected leaders and this must end. As our elected officials make policy and work on the people’s behalf, it is extremely concerning for these incidents to come to light after we have cast our vote because we see the evidence of their bias in their decision making. 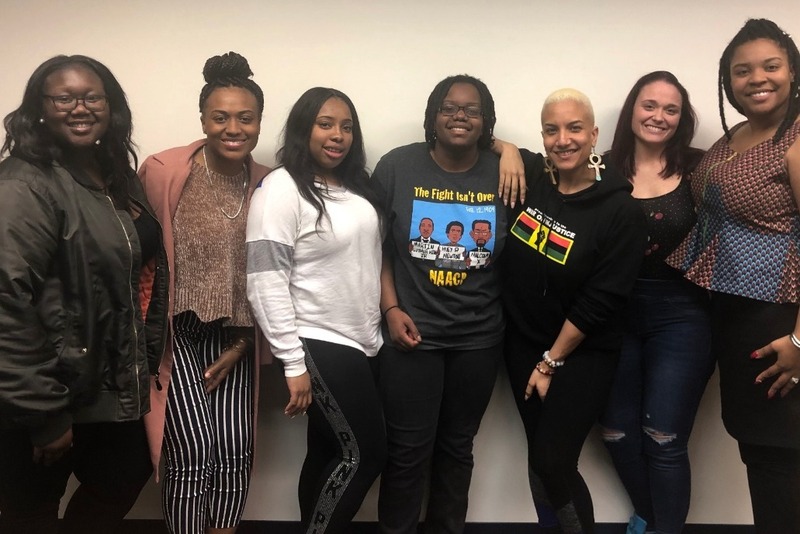 As Jamil Smith succinctly put in his recent Rolling Stone piece, “Blackface is Just One Part of the Problem.” It is for that reason we are seeking to fund HBCU students researching our current and future elected officials. Please consider donating and sharing this GoFundMe to support the people of the Commonwealth of Virginia moving forward past our horrific past. First… THANK YOU. Thank you to every person who has donated thus far and thank you to everyone who has shared this GoFundMe. We are so grateful for everyone’s support for this project and work of these scholars. Race Capitol and RVA Dirt have been in contact with students at Virginia State University and Virginia Union University and we have started to extend invitations to the scholars selected to join the 2019 HBCU Research Fellowship. On February 17th we hosted an in-person facilitation to get to know our first four scholars and review their informal invitation (picture below). Once the acceptance process is completed, we will publicly announce our class of fellows. Research is targeted to begin by late March 2019. We will post regular updates as the fellowship progresses. Be on the lookout for another update by the beginning of March with more exciting news. We have not hit our initial funding target yet so please continue sharing with your friends, family, and social media so people who are interested have the opportunity to amplify the voices of these scholars by donating. WHY DOES THE HBCU RESEARCH FELLOWSHIP EXIST? For many people in Virginia, blackface was just the proverbial nail in the coffin for Northam as his racial bias was already apparent in some of his policies (e.g. Union Hill). Artifacts, such as yearbooks, from formative years of public officials serve as important historical context by which we may better understand and react to their modern decision making. When we know the history behind our present, we understand the culture that built our existing systems and with that knowledge, people are better equipped to effectuate change. Currently, not only are our public officials predominantly white males but most of their higher education experiences lacked diversity. We can think of no one who has a better perspective and life experience to conduct a cultural research study on the higher education institutes that shaped our public officials than current students who attend local HBCU’s. 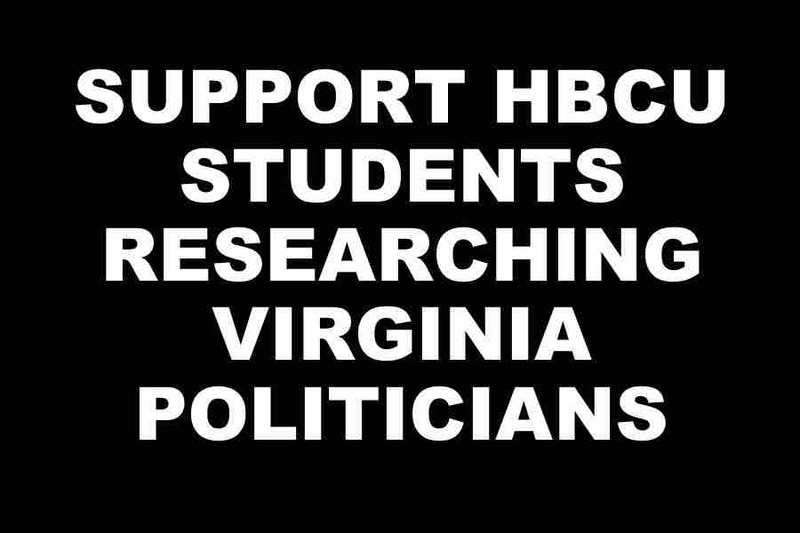 The HBCU Research Fellowship is an opportunity for our future leaders to foster understanding about our current political system by using a student-to-student lens to research and document the formative higher education cultures of our public officials. WHAT DOES THE HBCU RESEARCH FELLOWSHIP ENTAIL?